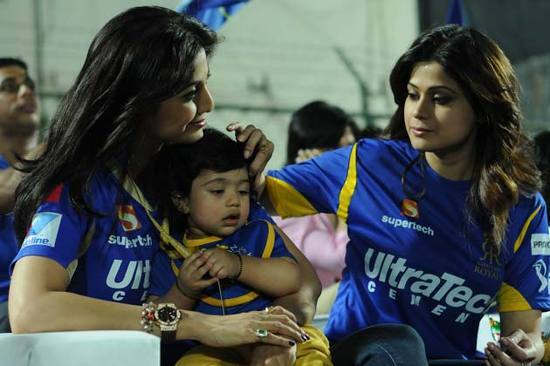 Shilpa Shetty’s son Viaan Raj Kundra made his first public appearance at the ongoing Indian Premier League. 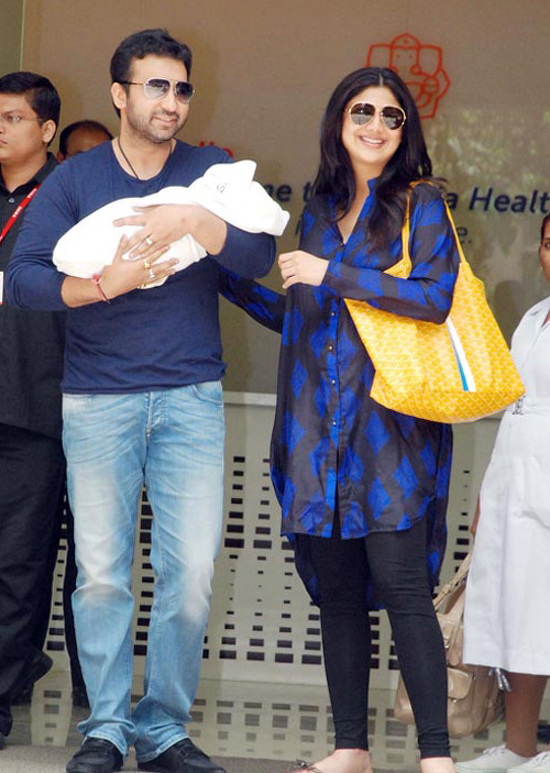 He was spotted at Sawai ManSingh Stadium in Jaipur with mom Shilpa and aunt Shamita Shetty on 8th April. 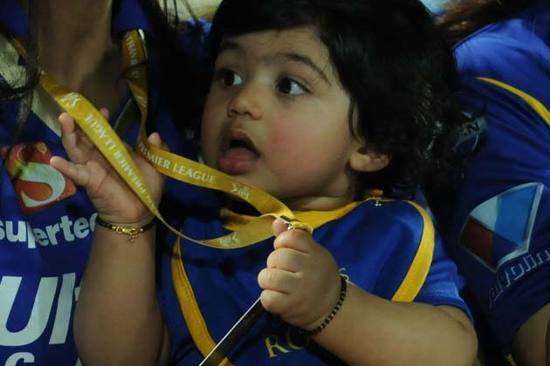 Earlier Shilpa and Raj had made all the efforts possible to hide the face of their little boy however they didn’t do so during the IPL match between Rajasthan Royals and Kolkatta Knight Riders. 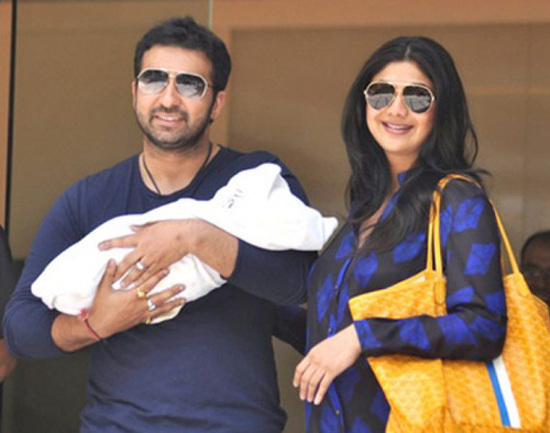 Viaan is amost 1 year old now, he was born on 21st May 2012. 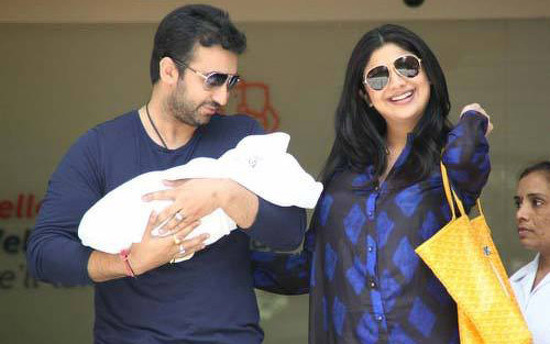 Check out these pictures of Shilpa’s son Viaan, we think he resembles his dad. Isn’t he a cutie?